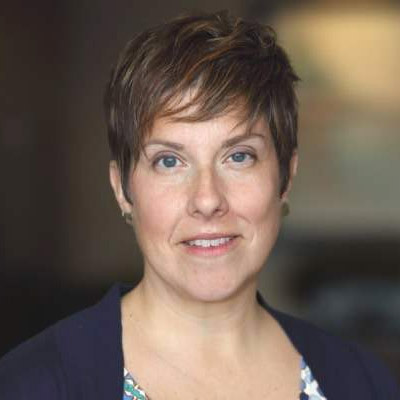 Jump IN for Healthy Kids is a new organization working to reduce childhood obesity in central Indiana with a community-wide initiative of civic, health, business and education organizations. Jump IN intends to be the catalyst for evidence-based best practices that will measurably improve our children's health. Responsive web development: It is important that Jump IN for Healthy Kids can reach their audience on a variety of platforms. Whether a person is looking at the website on a laptop, a tablet or a phone, the website needs to have a consistent look. TBH Creative was able to accomplish this by creating a design that is flexible enough to carry the brand at different screen resolutions. In developing the site, the team at TBH Creative took that flexible design and applied it to a fully responsive framework so that the site reacts instantly to the environment of its user. Mobile design: Beyond the consistent look is the desire to make sure the site performed well on mobile devices. TBH Creative designed custom banner, navigation and footer elements for better mobile performance. 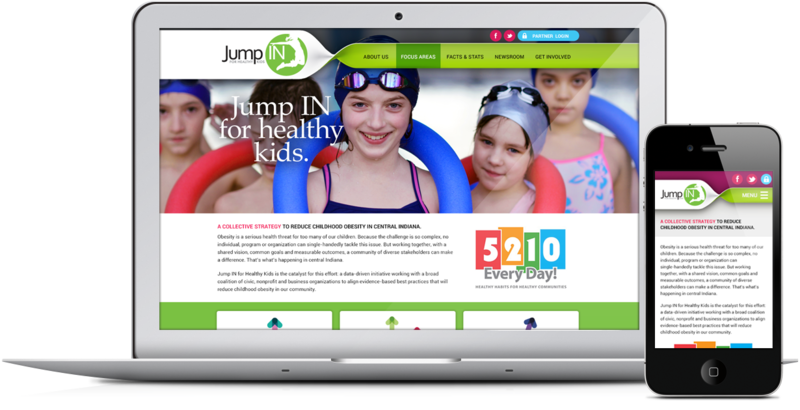 Content management system: One of the key goals for the Jump IN for Healthy Kids website is to communicate their initiatives and success stories. To help the staff do that quickly and easily, TBH Creative implemented our proven content management system (CMS). These tools give the Jump IN team full access to their site so they can update and add information when needed without relying on anyone else. Easy-to-Use Content Management System: Under the hood, the site’s nimble, intuitive content management system means we can tweak content, add updates and even create new pages from the office or remotely. Basic page changes, adding new pages, and posting news are simple. There’s also a secure log-in for our partners, which we will activate when needed. Effective Communication Tools: The website forms make it easy for people to contact us, request information or join our mailing list. As soon as the site launched, people were doing just that—stepping forward and asking to become involved. The site’s automated response feature means they receive a quick reply. We get their contact information and comments, allowing us to craft an individualized follow-up message. “The TBH team provided top-flight design services with back-end options uniquely suited to our needs. It’s rare to find a vendor with such technical skills, creative talent and customer-facing service. I felt they were trying hard to understand who we are and what would serve us best in the future—and they delivered. We’ve been very pleased through the whole process and would be happy to recommend TBH Creative to anyone looking for an innovative, adept, responsive approach to website design.” Ron Gifford, CEO.